Best friends Annie and Sarah need cash—fast. Sarah, a beautiful, successful lawyer, wants nothing more than to have a baby. But balancing IVF treatments with a grueling eighty-hour workweek is no walk in the park. Meanwhile, Annie, a Harvard-grad chemist recently transplanted to Southern California, is cutting coupons to afford her young autistic son’s expensive therapy. 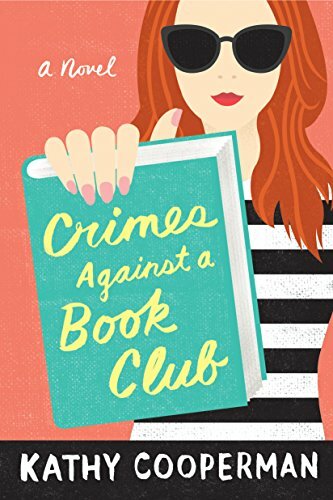 Desperate, the two friends come up with a brilliant plan: they’ll combine Sarah’s looks and Annie’s brains to sell a “luxury” antiaging face cream to the wealthy, fading beauties in Annie’s La Jolla book club. The scheme seems innocent enough, until Annie decides to add a special—and oh-so-illegal—ingredient that could bring their whole operation crashing to the ground. 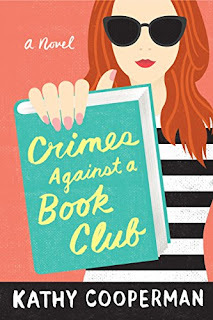 Crimes Against a Book Club is one of those books I was recommending before I even finished, as I was that confident it was a winner the whole way through. And I was right! The premise is creative and the dialogue and characters are humorous throughout. I love how the characters played off of each other. Everyone and everything was easy to visualize without needing an overwhelming amount of detail. It's basically Odd Mom Out meets Breaking Bad. It also reminded me of some books I read. The "criminal" aspect reminded me of The Assistants by Camille Perri and the parts where you feel bad for women you're not supposed to like reminded me of The J.A.P. Chronicles by Isabel Rose. Even with all these comparisons, the story is fun, fresh, and celebrates friendship. There was nothing I didn't like about this book and it's going on my 2017 favorites list. Definitely pick it up for a dose of fun and entertainment. I'm impressed that it is a debut and look forward to more from Kathy Cooperman! Great review. I'm definitely going to have to read this book. I need to read this now - it's somewhere in one of my many TBR piles, lol. Thanks for the recommendation! Go-To-Gay: Shop 'til you drop!